Update: Website and additional photos added. Early next year Swanson Tools will be launching a new professional line of hand tools called Savage. 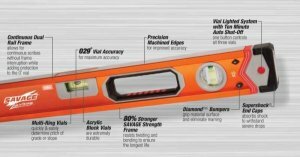 Now I always figured Swanson tools were already for professionals, so I guess this new line of tools will be for more professional professionals, not just your everyday run of the mill professional. So what makes the pro Savage line of tools different/better than the Swanson tools of old? Well it appears the most obvious difference is Swanson's new found love for aluminum hand tools with a cool orange anodized finish that is nicely complemented by laser etched markings. 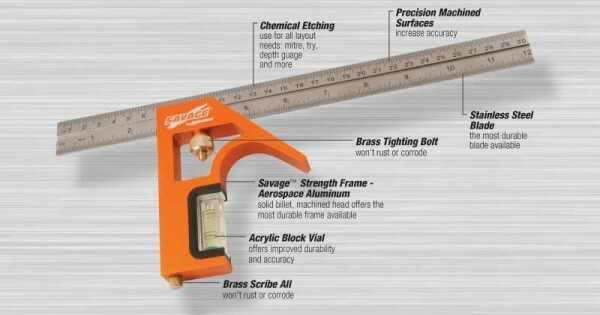 For some of the more basic tools, one's Swanson has already perfected over the years, the orange anodized finish appears to be the only major change. 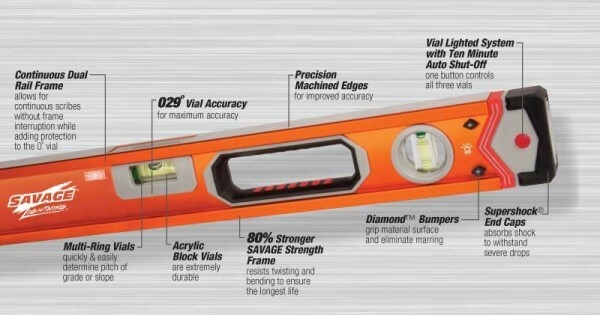 Other tools, like their Savage lighted levels, look to be compete redesigns. The Swanson Savage line is expected to launch at the end of January 2012 and all of the Savage tools are covered by a limited lifetime guarantee. 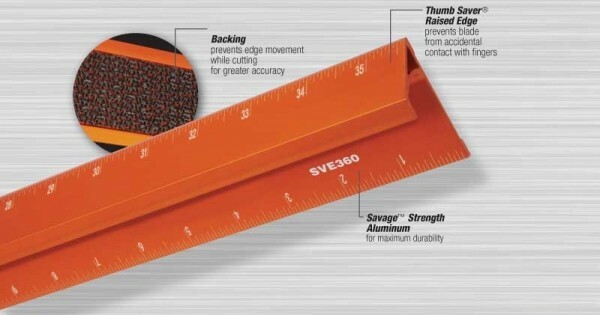 To me, one of the coolest tools in the new Savage line is a simple No-Slip Straight Edge that has a built in thumb guard to help protect your digits from accidental amputation. I also like the new SpeedSquare with laser making which should be super easy to read. The aluminum combination square should also be a nice addition; I always hated the weight of regular steel combo-squares. For a full preview, check out the Savage Catalog (PDF).